In 2012, DLDT's executive director met a couple who run theHummingbird Project which works on sustainable farming projects in India and east Africa. They asked if we could visit Family Spirit and see how we could help with their water situation since that was not their area of work, but they knew they needed help. In 2012, after drilling a borehole in Uganda in Mulajji Village a few hours away, DLDT went to research the situation at Family Spirit and then meet with the school/center community to discuss best options for safe and sustainable water for center and the 15 acre farm. During that same time, DLDT taught hygiene and sanitation classes at the school. At Family Spirit AIDS Center (orphanage, school, youth clinic), students are forced to walk to a public spring that is very unsanitary about 15 minutes away. The spring is typically crowded, surrounded with trash, farm animals, motor vehicles and people right near a dirt road which contributes pollution via runoff. The center has two cisterns that are old and contaminated with bacteria and worms and any water collected on site is not treated properly with tablets that need to be purchased because the containers can never fill to the proper levels while serving the center. One small tap exists on site from the district, but the school cannot turn on the tap because of the lack of funds to pay and the lack of reliable or affordable electricity in the district and country. *Videos of the children and center directors can be seen on our Youtube channel and photos can be seen on Flickr. Over 250 orphans rescued from surrounding countries (Congo, Sudan, Kenya, Tanzania, Rwanda, + ) and Uganda, staff, visitors, clinic, volunteer families and on site gardens. Children are rescued orphans due to home violence (ie witch craft), AIDS, war or other parent deaths or disasters. Children are recused from Congo, Rwanda, Uganda, Kenya, Tanzania, Sudan in east Africa. All religions are allowed and english is to be the common language although it seems very broken. 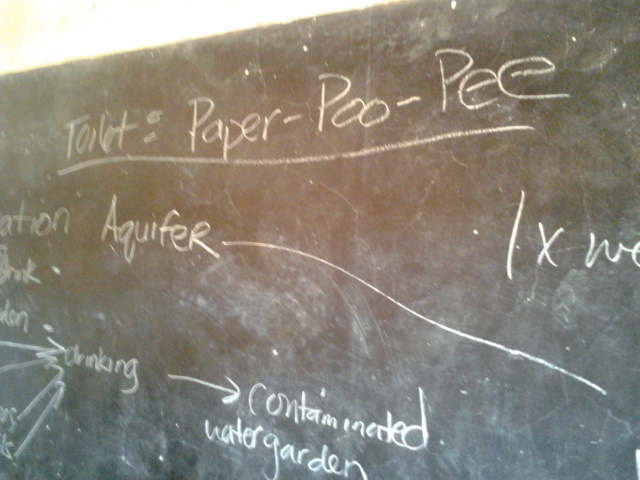 Sanitation and hygiene classes have been, and will be taught during the project design and implementation phases. The water committee will continue this education. Students are getting toilets and showers for the first time from another non-profit. Students who spend holidays and weekends on the soon to be irrigated farm will be learning a skill outside of the classroom so they are able to care for themselves better if not placed in secondary schooling or an adopted family. With unreliable access to electricity, we have decided on a gravity fed irrigation system and will have the school provide a generator once in a while when the water tanks need filled. The shallow borehole is the best solution for safe water at the school since we know they do not have the capacity to treat tanks of water correctly or keep the tanks sanitary. Both the gravity fed farm irrigation project and borehole project will be done at the same time in December 2013-February 2014. A water committee will be trained to care for the new water sources, encouraged to keep notes on issues and impact and the source will be visited bi-annually by DLDT. The community at the center is run by Issacc and Susan (the directors) and their board of directors. 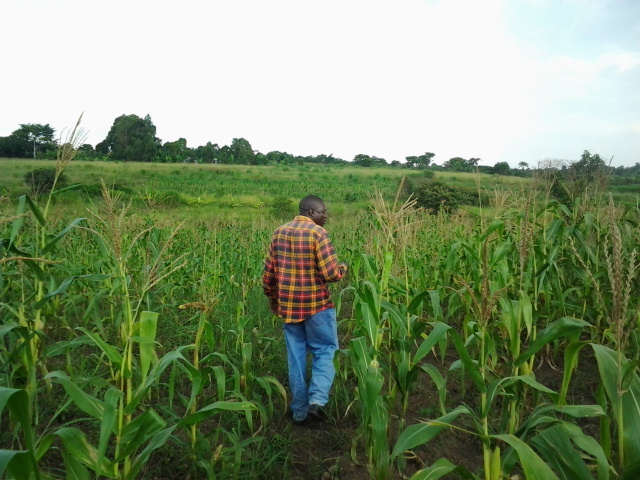 The farm is overseen by a Ugandan family connected to Family Spirit when the students and staff are not there learning farming skills (planting, harvesting, irrigating). During holiday and weekends, many students will be bussed to the site to learn their skills. This is a cost Family Spirit will pick up. Many of the children are sick, all are orphaned and most live on site unless a villager has taken them in. Skills they acquire will allow them to provide for themselves in some way once Family Spirit can no longer house or educate them after 7th or 8th grade. All teachers on site are volunteer Ugandans and sometimes from other countries looking for experience to find paying work. Issacc and Susan have a very big job and have HIV themselves, but are very organized and determined to help these forgotten children remain away from the streets. Family Spirit will supply costs of running/supplying a generator for the gravity fed irrigation system. Not fully included in attached project costs: clearing, maintenance and on the ground support pre-post-during project implementation. Fuel needed for generator and generator to pump to gravity fed system and student transport to farm for additional education will be provided. I also applaud your work in caring for orphans. I work with many schools in Kenya and the challenges of caring for the needs of orphans are many and not easily resolved. One of the paths we are following is creating sustainable sources of income for schools and their communities. 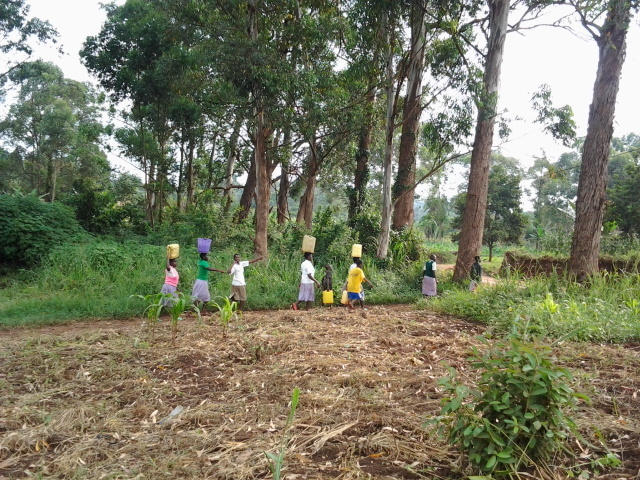 Most of our income generating projects such as tree farming are done on school property. In your case you have a fifteen acre farm. Could you explain how the farm is going to benefit the school. Who owns it, how far is it from the school, is there a written commitment relating to how the school will profit. Could you also explain how you intend to cover the cost of providing maintenance and fuel for the generator and transportation of students to the farm. Your comment about not being able to afford to pay to turn on the tap or use electricity provided by the district indicate a cash flow problem. Is the farm the solution? Thank you for the good work you are doing in the world! The farm is a "25 minute" drive not far from the school. We do not see the farm as an entire solution to their problems, we see it as a step to a more sustainable life for all at FS. Just like they made the step in getting the farm to bring food to the school, we can help make the next step with them so the farm can produce more food. We do not have the financial statements for the school, so we cannot assume the expensive single district tap with little to no electricity bringing water to it is an answer to their water problem or that affordability is the main concern- reliability is most likely the main issue here because of corrupt, unreliable power in Uganda's rural areas. Thank you for your thoughtful questions! I'd love to learn more about your work and sustainability models and working programs. Please send information when you can. Are you stationed in Kenya? I may be in Mombasa during my trip for a few days Dec-Feb and would love to connect. I reiterate the questions regarding ongoing maintenance and funding. I notice there is no community contribution. Will there be any labor or material contribution for the project? Is it because they don't have the capacity, or is not part of the model? Hi Gemma, I hope you are well! There is community contribution of the ongoing maintenance and water committee continuous education. FS staff and children will help clear areas as needed (labor) and provide shelter/camp/food for workers. Are you in Uganda Gemma? I'd love to connect while I am there. Let me know-thanks! Thank you for your overview of your project and the various organizations involved. In your description you mentioned that the school will require a generator when refilling the tanks. How often will that be? Does the school already have a generator? Are they willing to absorb the cost of the fuel when that needs to be done, given all of their priorities? Also, in your summary you mentioned that you provided hygiene and sanitation classes in 2012, are you planning to provide additional classes after completing the project? Who will be trained? Hi Christine, Thank you for being patient with my response as we had some unexpected events recently to take care of (not project related). The generator use depend on the rain and time of year. There are two rainy seasons, so it will not be used then, it will be used more in the off rainy seasons 1x per week to 1x per month on average. We shaved some cost by using smaller containers to store the irrigation water since the school can access a generator when needed.The cost will be covered from savings in purchasing processed grains and food in "town" and is minimal. We will leave materials with the school and will visit once a year to followup on training and the projects. A water committee will be trained to continue teaching the users on a monthly basis. Enjoy your day and thank you for your conversation! I need clarification of some issues on interacting with the government. I know the government is the owner of the community you re serving. How can you work/implementi the project without involving the government? How are you going to maintain the sastainability of the project. The organization may not continue for rever serving the community but the government is their forever. I think it may be in one way or another the need of involving the government is needed. I applaud the work of the orphanage to care for children in need and I truly hope you are able to gain access to safe water. 1. The various roles of the organizations is unclear- which organization will be managing the grant and which organization will be responsible for maintenance of the borehole long-term? If these roles differ, how will the maintenance of the hand pump be ensured? 2. Have you done any research regarding cleaning the cisterns? I understand that they are old and contaminated, but it could be more cost-effective to use the cisterns you already have rather than drill a new borehole. Lifewater International has put together a manual with instructions on how to clean and maintain cisterns, if you are interested. We work with a hired contractor on the ground who is on a District Water Committee and a supervisor to our funded projects on the ground; he handles the government relations. I am waiting for specific answers from him. Drink Local. Drink Tap. will manage all funds for the project and physically be on the ground during project implementation and water committee training. The Family Spirit Centre and water committee will manage the borehole project and farm irrigation long-term and take ownership of the new source and system. Their contribution is maintenance and the generator to bring water to the gravity fed irrigation system as needed which includes fuel as well. Money saved from growing more food and purchasing less will help offset this cost as well as the cost to get groups of kids their by bus regularly to learn farming skills. These questions and comments have been very helpful and have echoed some things that were on my mind from the start. I will share more details as I get more specific answers from our contractor. He is one of the directors of Waterford Contractors and Consultants Limited and he is on the Water Board Management Committee of Luwero town council-basically their role is to over see the running of Water and manage the states in Luwero town council. Bore hole construction and government: Government interaction is not big another than giving us permission to construct it- after that the responsibility is on the owner. Julie, I have started to dive more deeply into the option of cleaning the existing cisterns and educating the staff and water committee (which was never done properly). Since we may not be able to raise all the funds we need in time for the break in raining seasons, we may go that route as an alternative depending on the severity of the contamination. The rainfall may be good enough after talking for a third time with our contractor there- I will update the project asap if needed. I'll loo forward to that information you have on cleaning the cisterns to see if it would make sense for the problem they have. Thanks! Either more project details are needed or more rigorous documentation of the earlier work. If we see step-by-step activity reports (detailing plan, changes, and evolution), then we can project how the next phase will go. Good indicators of ongoing operation and its impact of the previous phase would also help in seeing how this phase might be monitored. Am interested in seeing how the ownership evolves and how others can learn and share. I like that this program covers access to food as well. While I applaud the efforts of the organization to provide desperately needed safe water at the orphanage, it seems that there remain options yet to be explored using existing cisterns, and certain questions of sustainability which have not not been as well clarified as I would have like to see. I find the project commendable on several levels. 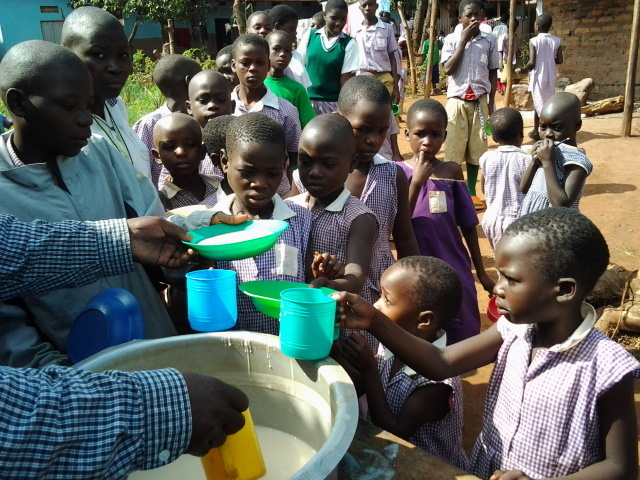 1)First, providing clean water for the orphans is essential. The financial problems listed indicates that this is not a well funded operation so I can understand not having funds to activate the city taps. I’ve encountered the identical situations in Kenya. 2)Second, the attachment contained a detailed lists of the costs involved in constructing the well and the gravity feed system for the farm. Someone has put a lot of effort in lining up the resources needed to make this project succeed. 3) Third, the funds requested represent half of the cost of the project. A lot of effort has been put into fund raising. 4) Creating income from farm revenues indicates that the orphanage will be attempting to become self sustaining. It will need a lot of help along the way, but the project represents hope for a brighter future. Seems overall like a good program. Because DWDT is not based in this area, this may cause challenges. Specifically, there may be a real learning curve working with Family Spirit for the first time. Project details seem to be sparse but the concept is there. The project would benefit kids and the farm making the orphanage sustainable and teach the kids skills that would help in later life. Gravity irrigation systems is a good option for the farm.